The SOURCE OF LIGHT MINISTRIES INTERNATIONAL Southwest Discipleship Training Base (SLM SWDTB) is in “City of Crosses” – Las Cruces, New Mexico, USA. City of Crosses is the tag name of Las Cruces; named after Calvary’s three crosses. SLM-SWDTB began February 1979, as BIBLE STUDIES BY MAIL, INC (BSBM), in the home of George and Mary Baker. The Bakers had served with South America Mission in Peru and Columbia and had used Fuente de Luz (Source of Light) Spanish Bible courses effectively. 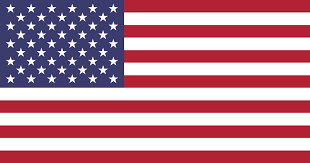 BSBM began with a burden for the spiritually needy in Las Cruces, New Mexico. After securing a bulk-mail permit, George and Mary sent some 7,000 letters to people in and around Las Cruces, inviting them to study the Bible. Mary’s sewing room at home, soon became BSBM’s “sowing room”. Sowing God’s seed through Bible-based studies was effective in Las Cruces, just as they had seen it was in Peru and Columbia. They founded BSBM and directed the work for 13 years. David and Rosita Beam gave leadership to BSBM from August 1992 until November 1996. They came from SLM’s Mexico Discipleship Training Base in Puebla, Mexico. During their time, BSBM became SLM-SWDTB. 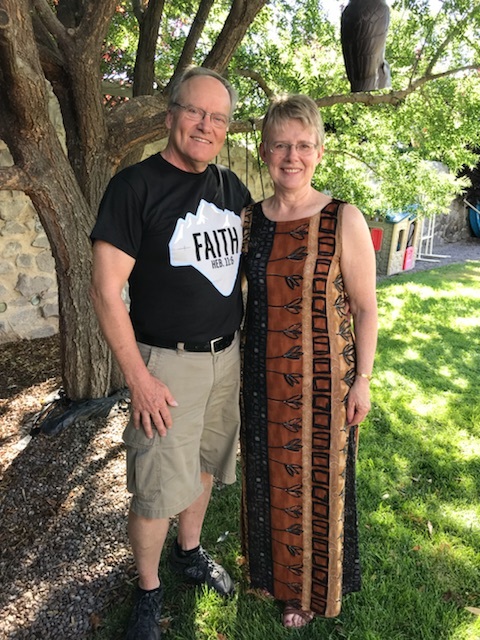 David is a Chaplain in Las Cruces’ local jail (DACDC) with Good News Jail and Prison Ministry, while Rosita continues as an SLM missionary sharing God’s Good News with Spanish speaking inmates in DACDC. SLM missionaries Eugene (Gene) and Grace A. Bunt were the third couple to give leadership to BSBM / SLM-SWDTB. Grace passed away in November 2004, in Las Cruces. He was director until July 1, 2005. Gene Bunt continues as a SLM missionary with his third wife Hortense. They are prayer warriors for Mexico’s and South America’s Discipleship Training Bases. Gene and his first wife had previously served as missionaries in Brazil for 20 years. Gene’s first wife died in Brazil. 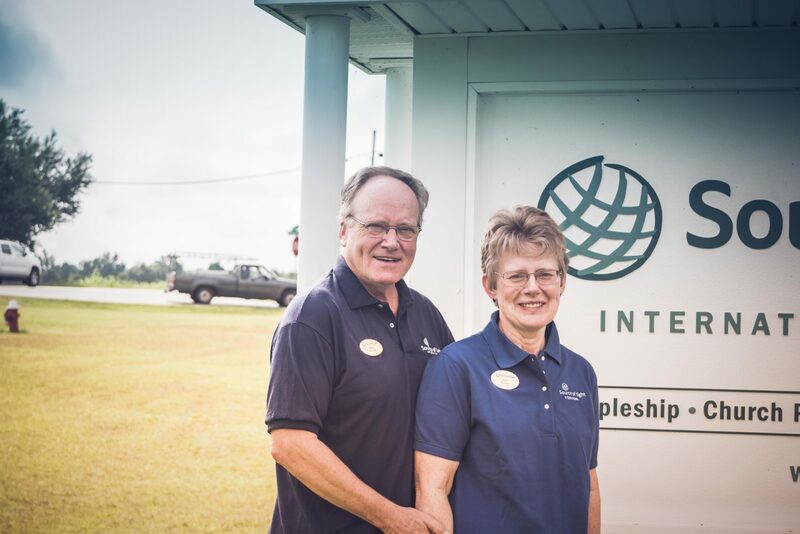 Darryl and Joan Evans are the 4th and current missionary couple to direct BSBM / SLM-SWDTB. The Evans had previously worked with Serving In Mission (SIM) in Bolivia and Chile. They started “learning the ropes” of BSBM / SLM-SWDTB on April 1, 2005 and, after being accepted by SLM, they began leading the ministry on July 1, 2005. Our hobbies are hiking and picnicking along one of New Mexico’s many mountainside scenic trials, as well as hanging out with family and friends in our backyard. The ministry of BSBM / SLM-SWDTB has seen significant expansion by God’s grace. Praise the LORD, staff members increased as student body numbers grew! In 2017, 47,186 Bible lessons were sent to 5,379 individuals in either English or Spanish. Eighty people doing the studies were born again in 2017. The ministry’s goal is to provide free Bible correspondence courses designed to help English and Spanish speaking children, youth and adults grow in a personal relationship with God.